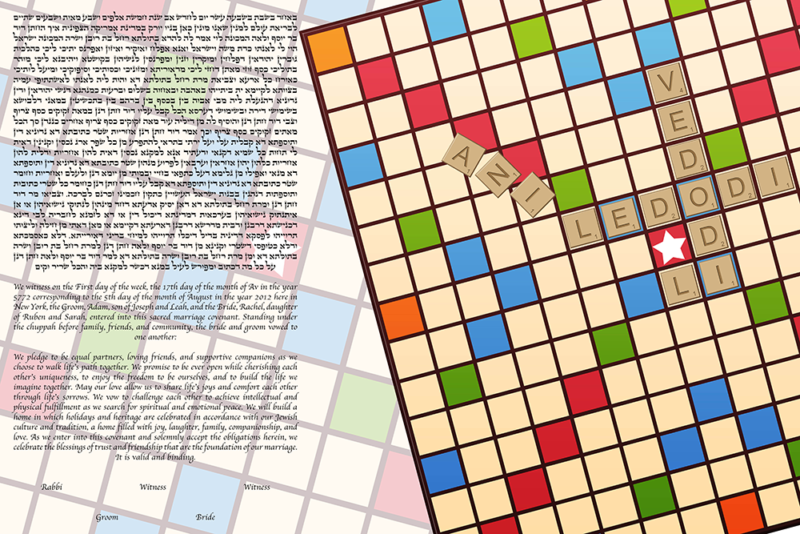 With tons of color and a fun style, this Ketubah is inspired by every inner word nerd’s favorite game — Scrabble! This design features a Scrabble board spelling out the word “Ani LeDodi VeDodi Li”, or “I am my Beloved’s and my Beloved is Mine”. The text to the left and the lighter background adds a dynamic depth and beautiful layout to this already unique Ketubah.